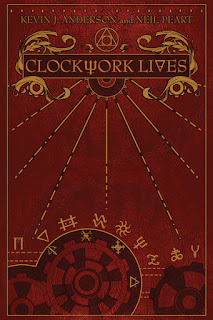 Clockwork Lives is a sequel of sorts to Anderson’s previous novel Clockwork Angels (2012), which was written to accompany the Rush album of the same name, but familiarity with that book isn’t necessary; Lives stands very well on its own. The world it describes feels like the best possible steampunk adventure story that you read long ago and still half-remember: there are airships, clockwork people, sirens in the sea, a prosperous Atlantis, a magic bookshop, and a carnival with fascinating denizens. Marinda records a dozen stories for our perusal, but it’s easy to imagine a number of other, similar volumes emerging from Anderson’s capacious imagination and pen. My one problem with the book is with an element presented both on the book’s back and its first page: “Some lives can be summed up in a sentence or two. Other lives are epics.” These lines are meant to goad Marinda on her journey; as she speaks to some people in her hometown (and elsewhere), their stories are given in only a line or two, or perhaps a paragraph. These people are unimportant says the alchemical book, and Anderson—and that bothers me. For one thing, most of the “epic” stories given belong to male characters; for another, almost all of those men, at least as interpreted by Robles, are white. The seemingly only exception is ‘The Strongman’s Tale’ in which the titular hero Golson is black, and his story is about knowing the limits of his strength. This is somewhat subverted a few pages later by Louisa, his friend (and carnival bearded lady) who explains to Marinda that she meddles with Golson’s weights so that he is continually improving and challenging himself, but the thrust of the story still rankles. Another story, ‘The Seeker’s Tale,’ belongs to Cabeza de Vaca, a fraudulent hero and explorer who truthfully spends most of his time in pubs; his illustrated appearance does not differentiate him from the other white heroes, despite his name. Too often real recorded history has minimized or erased the stories of non-white men; to see this enacted all over again in playful fiction is, frankly, annoying. As for Marinda herself? Her story concludes rather abruptly with a love plot and a return home. The love plot doesn’t feel exactly organic, but it’s the sort of thing that we have become accustomed to as a conventional “happily ever after” and I won’t quibble with that, especially given how meta the novel is already. If it’s a story about stories, then we have to accept those elements that have become part of our narrative fabric, even if we wish they were more subversive, or played more with the form. 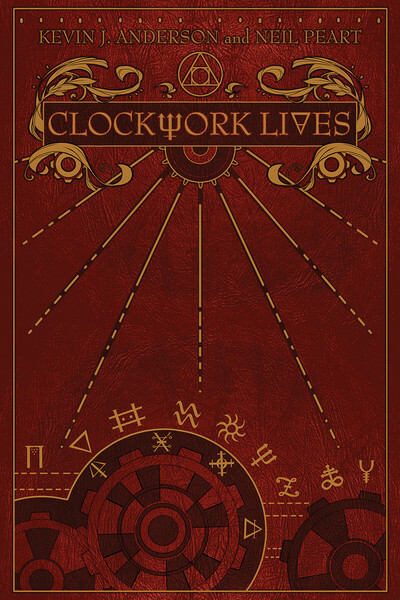 What Anderson does best with Clockwork Lives, I think, is engage with that particular love of books and stories that is so common to a certain kind of reader, and is again something that reminds me of Ende. Twice Marinda walks into a magical bookshop that has a portal to other universes; the eponymous bookseller of ‘The Bookseller’s Tale’ tells of her ventures to other bookshops slightly different than her own. As we all know, reading a good book is a kind of portal, too, one that lets you go to another world, explore for a while, and then come back, slightly changed. This is a book for booklovers, steampunk aficionados, and with the holidays coming up, might make a good gift for anyone who enjoys a good yarn. Anderson gets a lot right here, and the book designers finished it off perfectly, which is not something that can always be said, alas. Marinda is also just the right sort of heroine for holiday reading, too: the sort who grows because of the people she meets, and the stories she reads.